At the Devereux Center for Resilient Children (DCRC) we believe that it takes resilient adults to build the resilience of children. We strive to conduct research to provide the evidence base for our adult resources, advance the state of knowledge in our field, and to provide information that will contribute to the social and emotional health of those who care for children. The Devereux Adult Resilience Survey (DARS) is a 23-item reflective checklist that provides adults with information about their person strengths, such as creativity and setting limits, so that they can better cope with adversity and the stresses of daily life. In developing the Devereux Adult Resilience Survey (DARS), the Devereux Center for Resilient Children’s research team did a thorough review of the adult resilience literature to identify those characteristics of resilient adults/caregivers. In addition, focus groups with families, early childhood caregivers, and home based caregivers along with national experts provided further information on behaviors indicative of resilient adults. The focus groups and conversations with national experts focused on gathering information related to 1) what behaviors adults felt were important to help them bounce back in life as well as, 2) what behavior adults need to provide nurturing, quality care to young children. What resulted was a set of 23 items across four domains, relationships, initiative, internal beliefs and self-control. Literature and information from focus groups and experts in the field support the importance of these protective factors in supporting adult resilience. A research study investigated the reliability and validity of the DARS by correlating participants’ scores on the DARS with their respective scores on the Connor-Davidson Resilience Scale (CD-RISC), a resilience scale that is supported by the literature (Connor & Davidson, 2003). This study shows that the DARS is a reliable and valid tool that can be used by adults to nurture their own personal strengths, thereby supporting resilience, the ability to bounce back from life challenges. View Report. Poyner, N.B. (2016). Factors that contribute to resilience of early care and education teachers. Walden University. View Abstract. Fleming, J., Mackrain, M., & LeBuffe, P. (2013). Caring for the caregiver: Promoting the resilience of teachers. In S. Goldstein & R. Brookes (Eds. ), Handbook of resilience in children (pp. 387-397). New York, NY: Spring-Verlag. View Abstract. View Book Synopsis. The Devereux Center for Resilient Children (DCRC) team is interested in pursuing partnerships with universities, state and local agencies, and individuals who are planning to embark on research projects involving the DARS. If you are interested in a partnership with our research team please contact us. DCRC and the Kaplan Early Learning Company are happy to support graduate students undertaking research projects that involve Adult Resilience. Support from the Devereux Center for Resilient Children (DCRC) and the Kaplan Early Learning Company could include consultation with research staff, networking with other researchers in the field, discounted materials, and/or opportunities to present or publish research findings. 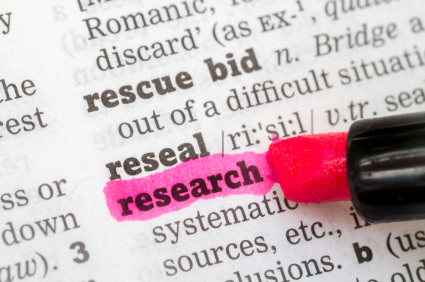 Contact us with your two page research proposal so that we can assess the best way we might be able to support you. Please be sure to include the name of the graduate program in which you are enrolled, the degree sought, and the contact information for your faculty advisor. Already Doing Research With The DARS? Are you already doing research with the DARS that you’d like to share with us? Contact us to share your work with the DCRC research team. We would love to hear how you’re using our resources!